We've been fans of reading challenges for a while now and are quite excited to get to host our own. Reading challenges are a great way to read outside your comfort zone—and you get to do it with other bookish friends! It officially begins January 1st, 2018 and ends December 31st 2018. Here’s the rundown: complete as many challenges as you can from the list below. If you have one book that covers two categories, feel free to count it for both. It's not a contest. Our goal is to encourage you to read widely (and fight the patriarchy, but that was probably a given), so just have fun with it! To help cheer you on, we’ll be hosting mini giveaways along the way. 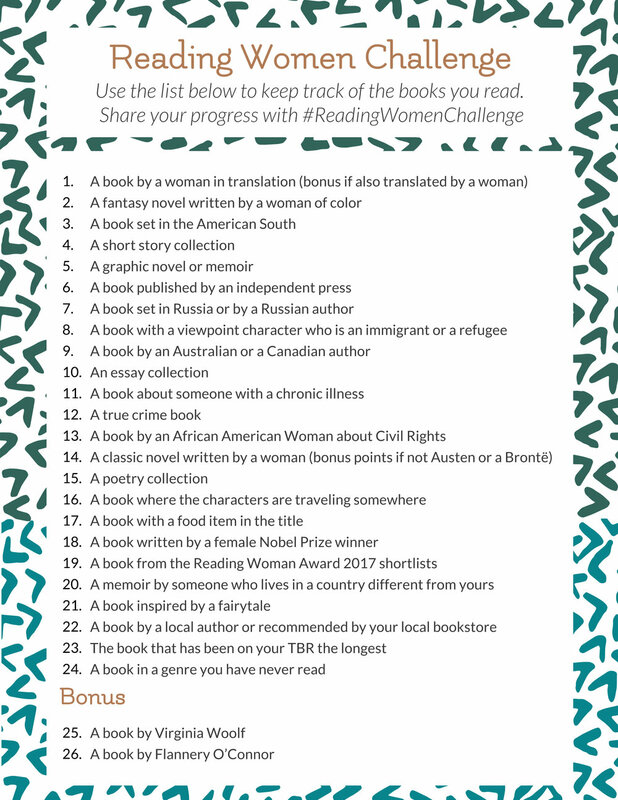 Be sure to share your progress, use the hashtag #ReadingWomenChallenge. Need some recommendations? Scroll to the bottom of this page for a list of resources and join the Goodreads group. Reading Women podcast episode show notes – Search the show notes of our past episodes (here's a secret, most of the categories are a variation on last year's episodes). They're organized by theme, so it should be pretty easy to zero in on the category you're looking to fill. Podcast Monthly Wrap-Ups - These are lists of books that didn't make it onto the podcast, but still fit the themes from that month. If you don't find what you're looking for, feel free to send us a message.